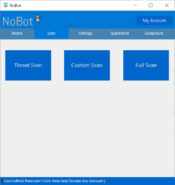 If you are tired of getting unwanted pieces of software that create problems for your computer and data security later, then you need an application, which can reduce the intervention of the unwanted file in your computer. 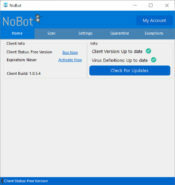 For this, NoBot is an efficient application. You can even restrict the entry of the programs that can enter your system because of either your carelessness or the carelessness of your system. 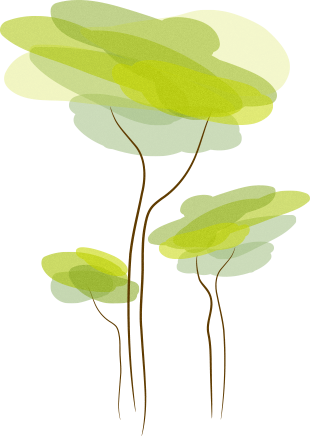 A friendly interface welcomes you when you install this application. 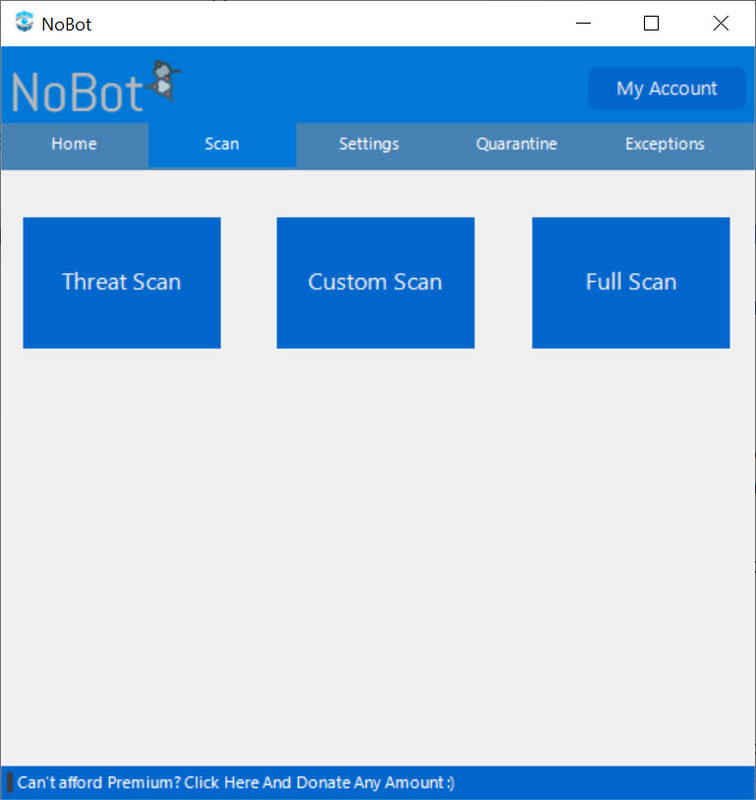 With five different tabs, it provides you with a complete scanning opportunity for your computer to detect all sorts of malware. 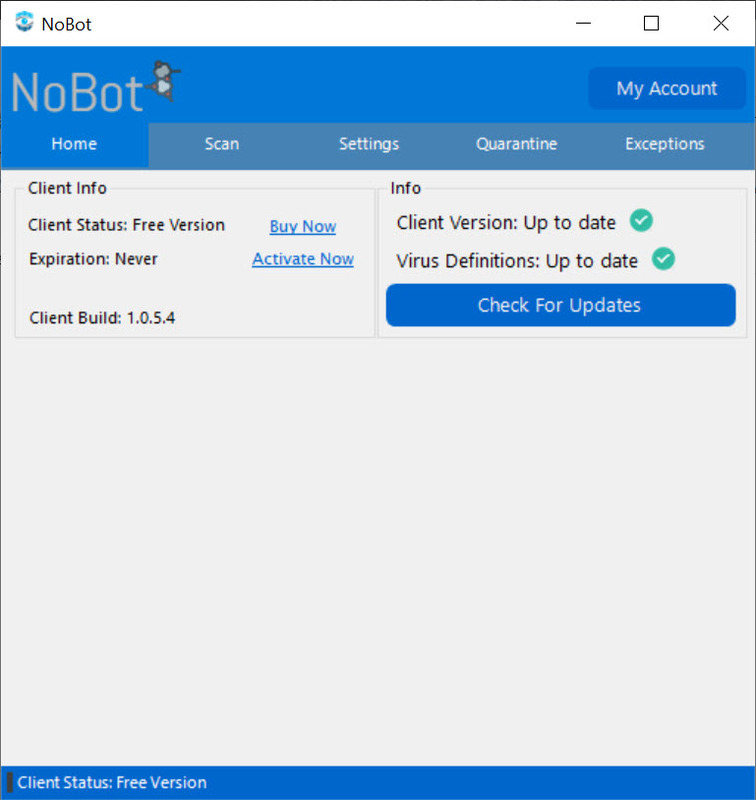 Additionally, the application can show you the definition of the word virus, so that you can be aware that what sort of applications and programs can trigger an alert. Updating the app is also possible through one of the die buttons available, making the application management very easy. It detects the viruses in the files. In case any file is identified with the infection, the application will put that file or application in quarantine to allow you to check it manually. If you know that this file does not contain any virus, you can continue using it otherwise, deleting it is also possible through the same interface. 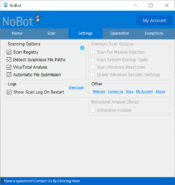 Exceptions in scanning can also be added, so NoBot will not check those files, resulting in time-saving. However, you cannot add entire directories in it. 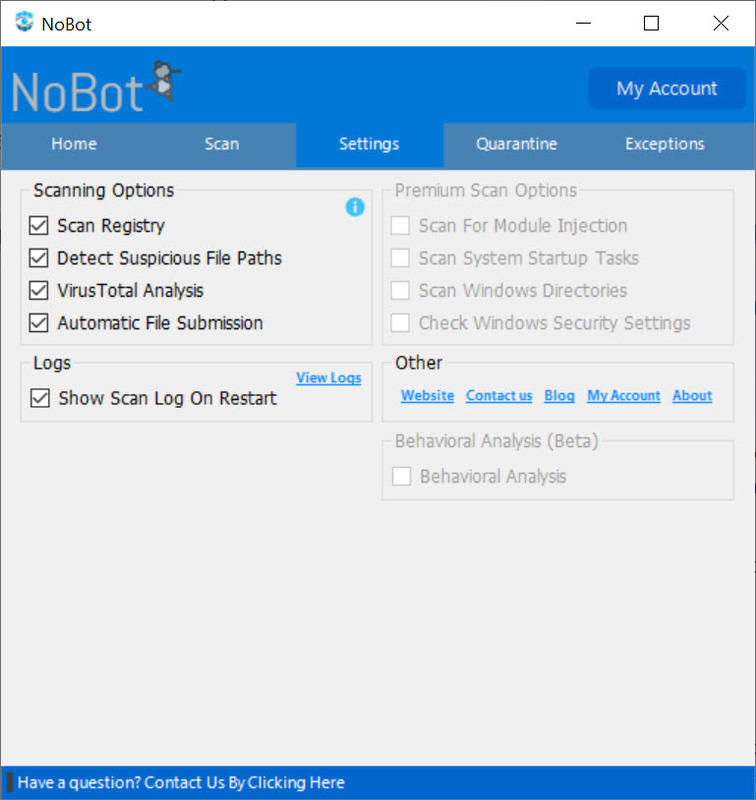 NoBot keeps your computer safe from the threats that you might get into your system via files downloaded from the internet.